Peggy Snow. “Tootsies Orchid Lounge”. 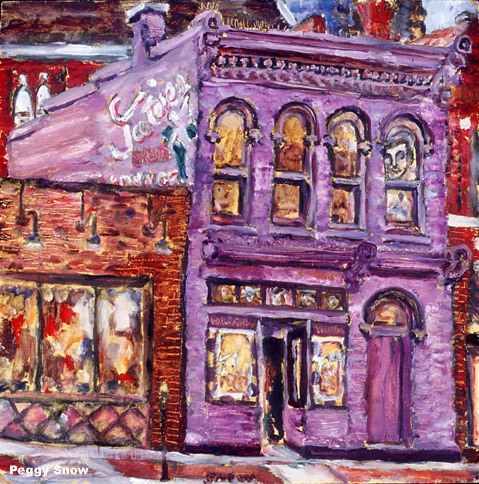 2006 oil on masonite 10"x10"
A beloved landmark bar on lower Broadway, downtown Nashville, where Hank Williams and Johnny Cash and others used to hang-out.